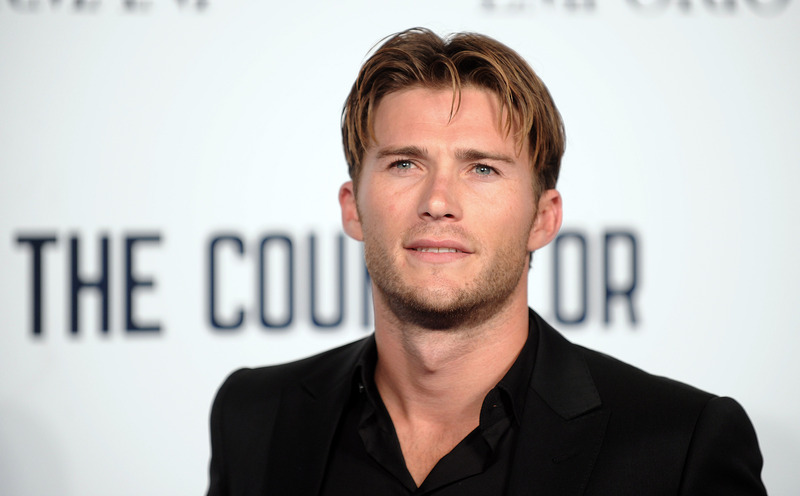 Is Scott Eastwood in the Running for '50 Shades of Grey'? Scott Eastwood could have a promising career ahead of him. He's Clint Eastwood's son! He could. So, why he's actually considering starring in the 50 Shades of Grey film adaptation is beyond me — but that seems to be the case. According to Just Jared, Scott Eastwood might be Christian Grey in 50 Shades of Grey, which recently lost its leading man, Charlie Hunnam, due to creative differences (in other words, the script sucked, and Hunnam peaced out). "He is one of five actors being considered," a source exclusively revealed to Just Jared, which seems like it could be true when you consider the fact that Scott tweeted about the movie just a few days ago: "What is all this talk about 50 shades of grey?? What do you all think?? Let me know. #hype #eastwoodlivin." It also makes sense that the studio would go with a relative unknown — they'd be able to pay him less than a more well-known star (Hunnam was reportedly going to be paid $125,000). Scott may be Clint Eastwood's son, but his IMDb page isn't that meaty yet, and he's still searching for that role that's going to make him big. If 50 Shades ends up doing well, it'll put whoever is portraying Christian Grey and Dakota Johnson — who is signed to portray Ana Steele — on the map. Whoever the studio picks, a decision is expected to be made soon — if the studio wants to keep their slated premiere date as Aug. 1, 2014, production is going to have to start soon.